William Peace University will host The Hip Hop and Higher Education Symposium (#HipHopEdWPU) next month to encourage public and academic conversations surrounding hip hop’s relationship to social justice and other issues. The symposium will be held September 13th and 14th, and precedes J. Cole’s inaugural Dreamville Festival in Dix Park on September 15th. 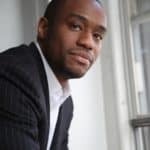 A keynote on Friday will be delivered by Dr. Marc Lamont Hill, CNN Correspondent and Professor of Media Studies and Urban Education at Temple University. In addition, WPU will serve as an education partner and sponsor of Dreamville Festival, which included national and local hip hop acts, including Big Sean, Nelly, Rich the Kid, SZA, and more. The Hip Hop and Higher Education Symposium will feature more than 12 panels, led by local and national scholars, students, and community members discussing hip hop in terms of art, politics, gender, sexual identity, race, economics, violence, criminal justice, policing, social responsibility and activism, and our collective role in addressing each. The symposium especially aims to ask questions about how students and institutions of higher education play a part in these contexts. Panelists and speakers include Ogden Payne of Forbes, who will be joined by Sascha Stone Guttfreund of ScoreMore Shows, Pierce Freelon (Durham professor, musician and social entrepreneur), Donovan Livingston of Wake Forest University (Harvard graduate, Ph.D. candidate, poet, educator, and speaker), Cocoa Michelle Williams of Florida State University (award-winning poet and Ph.D. candidate), and more. In addition, WQOK (K97.5), the Triangle’s top station for hip hop and R&B will be DJing live from the two-day symposium. Sodexo, WPU’s dining services partner and in industry leader in food and hospitality services, will serve as an official sponsor. Registration for #HipHopEdWPU is open to the public and varies in price, ranging from $5-$10. The event is hosted by the William Peace University Office of Diversity and Inclusion in partnership with the Office of Academic Affairs. For more information on the symposium, including registration and details on panelists/speakers, please visit www.hiphopedwpu.com. Press inquiries should be directed to Stephanie Reed, Director of Diversity & Inclusion: info@hiphopedwpu.com.